A bustling Italian eatery and wine bar located in Fairfield, CT, Brick + Wood offers a variety of old-school Neapolitan street snacks, hand-pulled mozzarella, and wood-fired pies. Despite their commitment to upholding the authentic pizza-making values of Naples’ past, Brick + Wood is modern and energetic in both spirit and atmosphere. 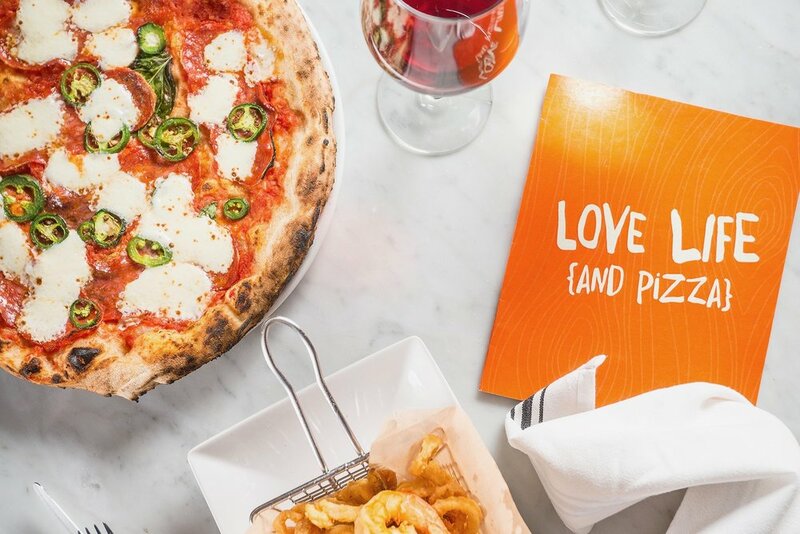 In order to create a brand that truly spoke to the restaurant’s “Love life and pizza” mantra, we depicted their simple self-titled brand mark in a fun, upbeat color scheme and bold typeface. By incorporating crisp, clean food photography and playful illustrations throughout countless marketing materials and collateral items, we managed to really bring home Brick + Wood’s contemporary yet inviting feel.